Finally a simple download manager! We tested out a ton of download systems and usually they didn’t work or were bloated and complex. 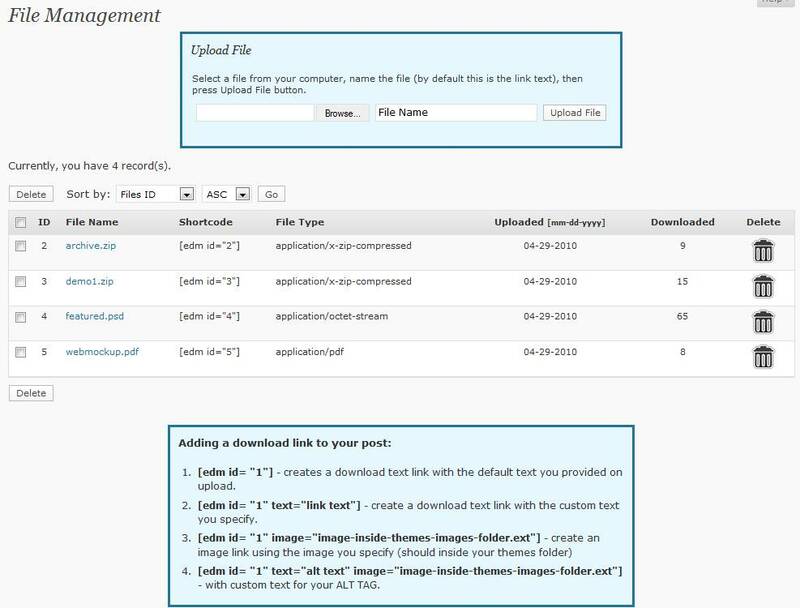 We then decided to develop the Epik Download Manager for WordPress. A simple solution that lets an admin upload files and add them to posts with a shortcode. Simple install, upload and install. Ajax powered upload system for quick uploads. Ability to have default text, custom text and images using shortcodes. Easily manage files by most download, upload date and more.